In its forum for fans, OnePlus has responded to various battery-related and other issues that users have reported in the new OnePlus 6 software. 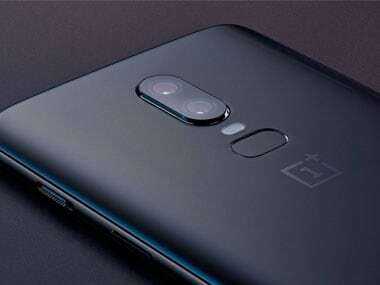 Offering a solution, OnePlus has announced that it will bring new updates to the software, which will fix all the issues. According to OnePlus says on the forum that they are removing the three dots that are present on the status bar, it will also support Battery Percentage in the status bar which otherwise was not visible. Other fixes include the sound notification, which the users had complained was low. The upcoming update will also solve the rear camera’s autofocus issue. It is expected to fix problems regarding the sound of calls when it is switched to the speaker mode. The OnePlus 6 was launched in May this year. Apart from these updates, users can also look forward to changes regarding the Scheduled DND feature. Another user had complained about his IDEA SIM card, which was not working when it was put in the non-data card section. OnePlus has said that it will soon bring an update which will allow the SIM card to work, despite being in the non-data category. The OnePlus 6 has been facing issues regarding the facial unlock as well, where a user was able to unlock the phone using a mask with his own picture on it. It has started rolling out the facial unlock feature in the OnePlus 3 and OnePlus 3T too.